Motorola launched the new premium smartphone Moto Z2 Play. The device is exclusively launched on Flipkart India online shopping. 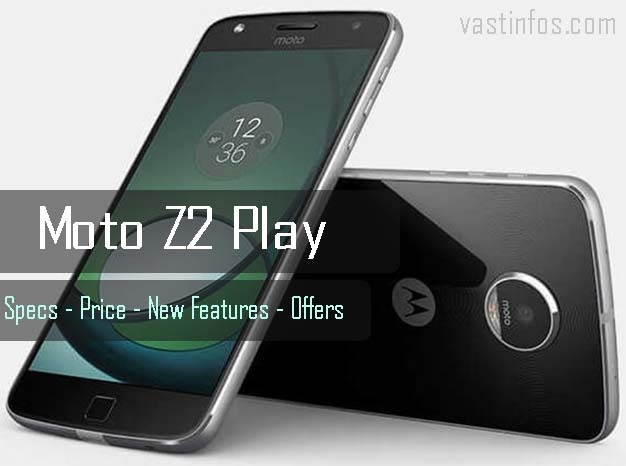 Moto Z2 Play is available for preordering on Flipkart and it can be bought with exclusive launch offers. Z2 Play is listed with a price tag of Rs. 27,999 on Flipkart with exclusive offers and deals. Motorola’s Moto Z2 Play comes in the premium segment of Moto smartphones. ZPlay has 5.5 inch HD display with Gorilla Glass 3 protection. Moto Z2 Play is powered by 4 GB RAM, Snapdragon 626 Octa Core Processor. The device is a having a 3000mAh battery. TurboPower – The TurboPower charger charges in 15 minutes and gives backup of 7hrs. Moto Mods – Add more hardware functionality to the Moto device. Moto Display – Helps to preview notifications without unlocking the device. Hello Surfing: On recharge of Rs. 309 and above get 100GB free Jio Data limited to 10GB additional 4G data till 31st March 2018 (max 10 recharges) – T&C apply. Moto Z2 Play is available in two color options. Fine Gold – White option is one and Lunar Gray -Black is the other. The device runs on latest Android version Android Nougat 7.1.1.